With fishing boats, ferries, kayaks, sight-seers and aquatic wildlife, the Nanaimo marina is at the heart of this lively city. It’s certainly not called ‘The Harbour City’ without reason. 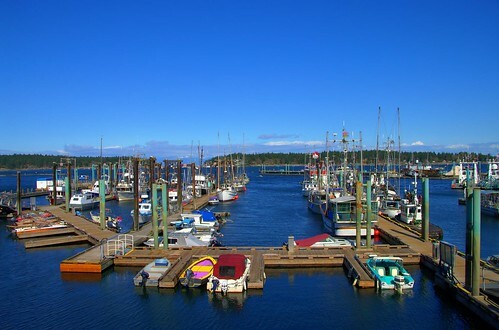 Recently the Nanaimo Port Authority announced a partnership with Pacific Northwest Marina Group that will see an entire overhaul and makeover of Nanaimo’s waterfront to help sustain this city and it’s vibrant marina for years to come. Originally constructed in the 1940s, Nanaimo’s current marina is quickly deteriorating and is in need of massive structural improvements. The Nanaimo Port Authority and the Pacific Northwest Marina Group have signed a 30-year lease agreement, set to be finalized once the necessary approvals have been acquired from various government agencies. The entire project is expected to span a 16-month period with 100% of the $9 million capital coming from the contractor. From an aesthetic perspective, the new marina will benefit both businesses and residents with its improved waterfront walkways and overall area beautification. Enhanced security, high quality stable floats, Island-style hospitality and continued access for persons with disabilities are among the welcome improvements for boaters. For more information please visit the City of Nanaimo online or the Pacific Northwest Marina Group’s official release about the project.